TOKY received four awards at the SMPS Marketing Excellence Awards in St. Louis on June 14. For our work for ENV, Studio Eagle, Farnsworth Group, and SWCA, the Society for Marketing Professional Services granted us awards of Merit and Excellence. SMPS seeks to advocate for, educate, and connect leaders in the building industry. TOKY has spent years cultivating knowledge and experience within A/E/C and over the last decade, we’ve received 12 awards from SMPS ranging from national to local levels. TOKY performed a top-to-bottom brand reinvention that better reflects Studio Eagle’s differentiating factors from the competition, the firm’s commitment to design-forward work, and the young and ambitious personalities of the people who work there. The addition of the word “studio” reflects the team’s creativity and better communicates services offered. 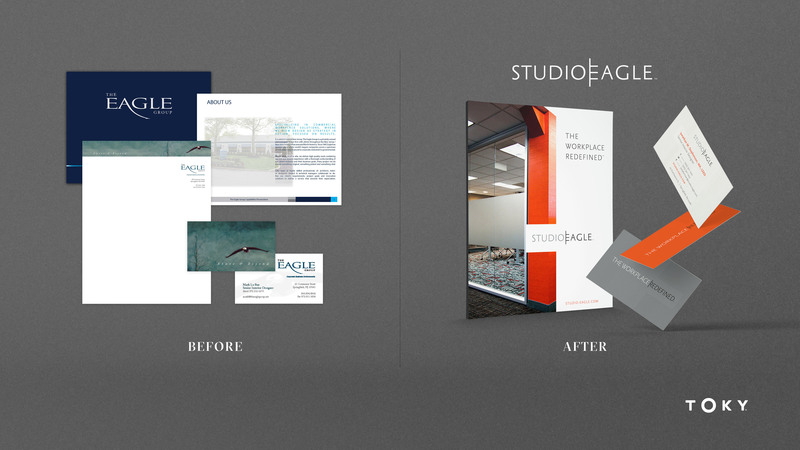 Read more about our work for Studio Eagle here. TOKY created a memorable brand based in research and data. 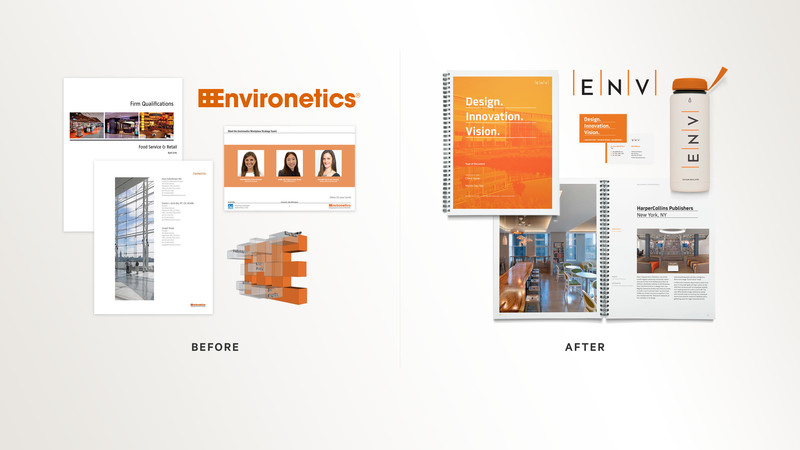 Transitioning the firm from Environetics to ENV, we designed a unified system around the new name that reflects the firm’s vision and unites their national network of offices. See more applications of ENV’s new identity on their website here. 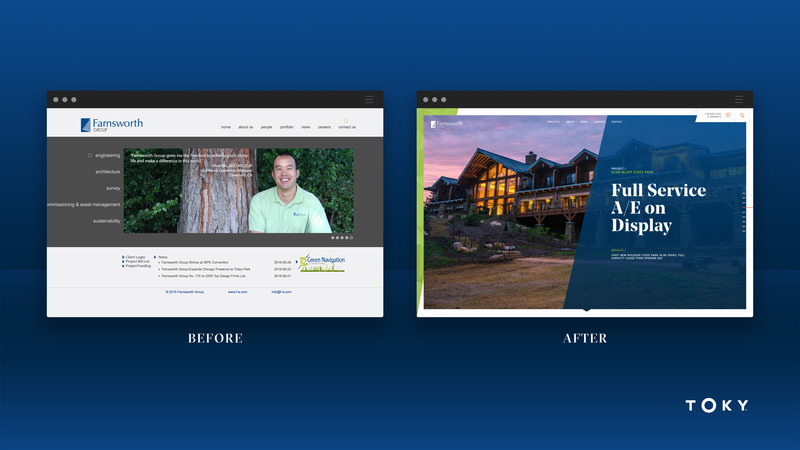 The new website clearly articulates Farnsworth Group’s markets and services, and also highlights the talented architecture team. Post-launch analytics show significant increases in engagement, especially from mobile devices, which was key to the website design process. Read more about Farnsworth Group’s new website here. SWCA is an environmental firm that focuses on natural and cultural resource management, environmental planning, regulatory compliance, and sustainability services. Unlike many rival firms, SWCA is not part of a larger AEC firm; rather, it partners with others to perform much-needed research. SWCA came to TOKY desiring a new website that would promote its markets and services and be easy to update independently. 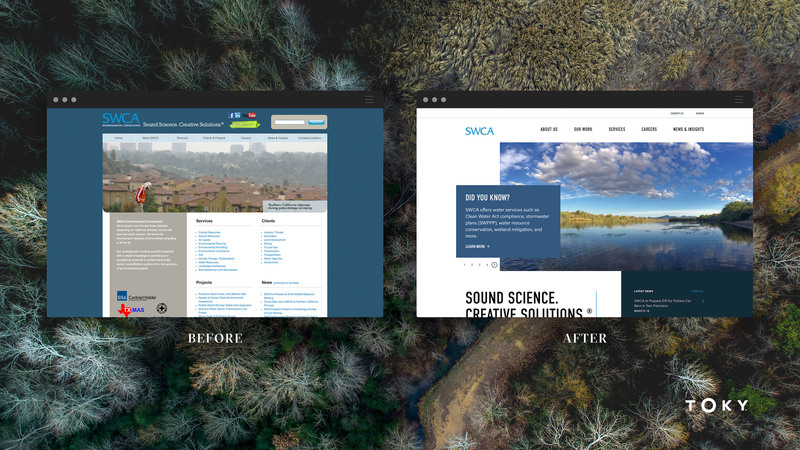 Read more about SWCA’s new website here. TOKY thrives on working with clients that change how we live and work. We believe that the world can be a more beautiful and more humane place, and we truly enjoy helping our A/E/C clients achieve their vision. Learn more about our architecture expertise here.